Successfully Added 9 Inch TFT LCD Monitor - 800x480 NTSC/PAL Headrest Mount Frame Two Way Video Input 7W to your Shopping Cart. 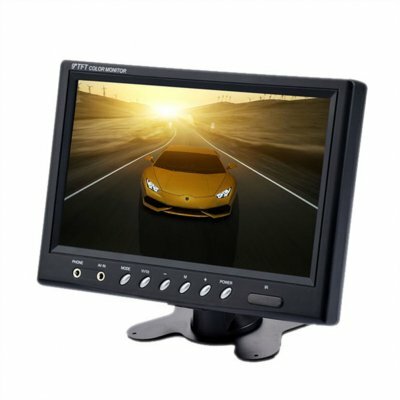 It is a quick and affordable way to get in-car entertainment and a monitor for car cameras. 9 Inch LCD Monitor, 800x480 High Resolution. Featuring double-channel video input connection to show everything from your DVD player, GPS navigator, digital TV receiver. Image mode: 16:9 And 4:3 are adjustable. Explanation: The colors deviation might differ due to different monitor settings, please kindly understand.